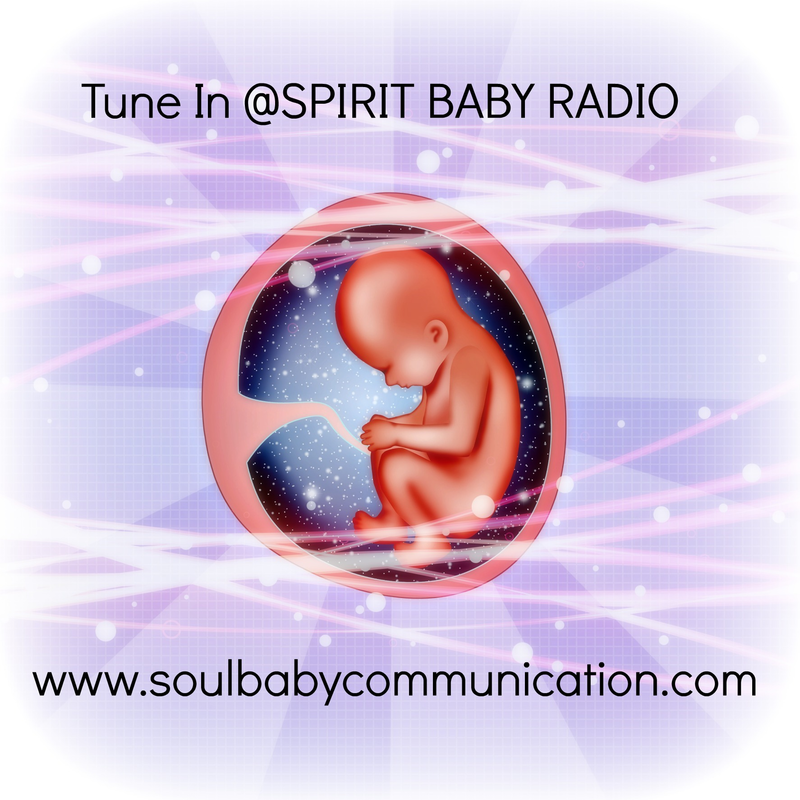 SPIRIT BABY RADIO is on a mission to serve our global community with a deeper understanding of soul communication, life of the unborn, birthing new beings, conscious living, and spirituality. All around the world many cultures are awakening and feeling confident by sharing stories of spirit baby communication. The experiences shared offer a truth to mysticism and grounding science within the energies of pre-birth connections in pre-conception, pregnancy, and birth loss. 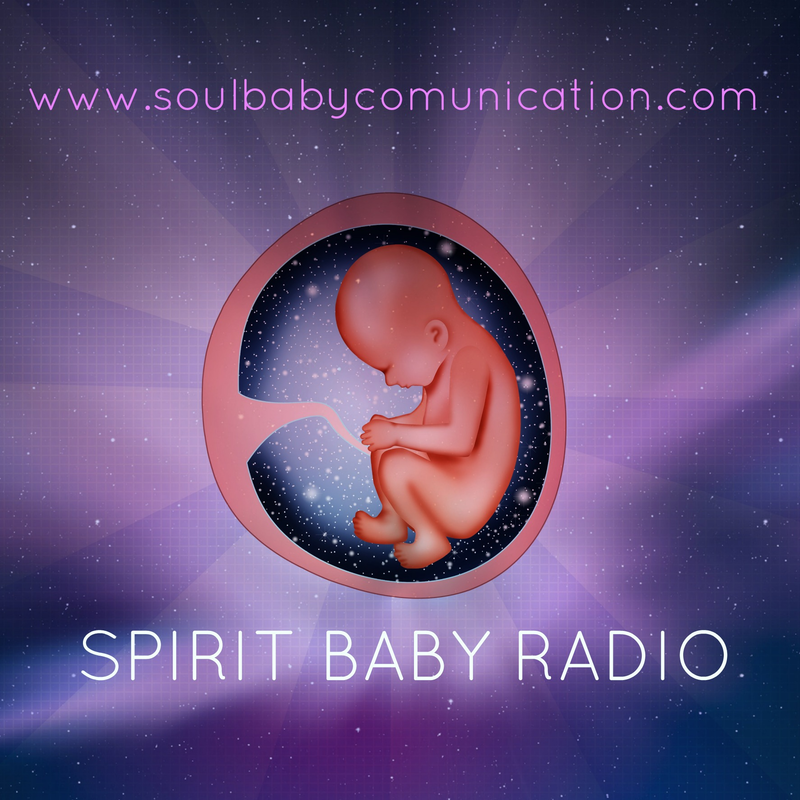 SPIRIT BABY RADIO is about sharing insightful topics with healing guests that support the service of others by bringing in the countless amazing messages that inspire dialogue with spirit communication, the after life, energy healing, medical intuition, and more! 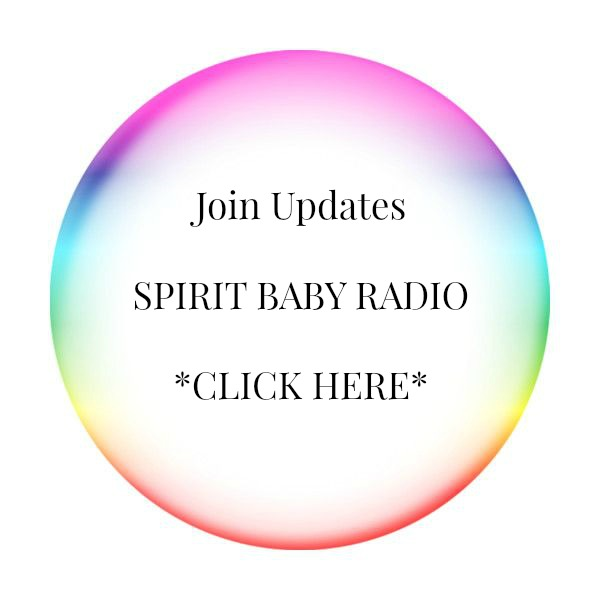 WHY SPIRIT BABY RADIO? It is a divine calling and your host Kelly believes that your baby or babies in soul are an infinitely loving presence that are always evolving and preparing to come into an earth experience. The inner gifts of awareness teach us about human life and love. Conscious conception leads us towards conscious beings into conscious parenting. Kelly can promise YOU that your baby is listening, open, and ready to create with you. That your private and sacred connection is everything and she knows how to support the many unique ways into spiritual communication. All you need is to receive the voice of your heart and shift your awareness inward and ask yourself "what are you doing today to connect with your child?" Thank you for joining SPIRIT BABY RADIO! ways of living, being, and evolving for our community. What resonates as your truth? How do you trust your connection with spirit baby? Why is it so hard to trust intuition? What does it mean to have a high vibrational soul? How do you create a practice of communication? Special guest episode: Maryanne Sea has a Master’s degree in Social Work from the University of Michigan and is the author of ‘The Healing of a Sensitive’, an account of her recovery from Environmental Illness. 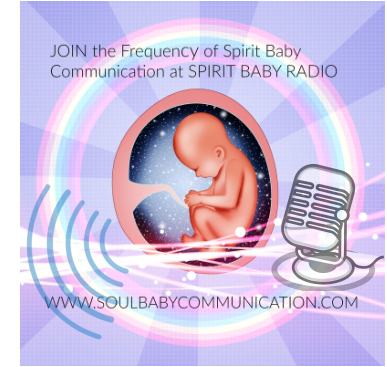 Celebrating the 50th episode with Spirit Baby Communication within conception, pregnancy, birth loss, and spirituality. What messages does baby in soul want to share? How do you trust it? How do you open to new insights? Special Guest Episode: Debra Kilby is an energy healer, intuitive soul purpose guide, channel for Spirit and baby spirit communicator. “I am a very blessed mum of two beautiful boys and four babies in spirit – a journey to motherhood that has led me to discover my life purpose which is to support mums and mums in waiting on their journeys to motherhood. To help them connect more deeply with themselves, their babies here, and in spirit. How does your emotional body express insights to you? What does it take to create self awareness? What controls or limits your ability to conceive your baby? What can you do to open to balance? Special Guest Episode: Claudia Manley, is a Intuitive Clairvoyant, Kundalini Yoga Instructor, Spiritual Transformational Coach, and Ordained Minister. She works with a wide audience, her energy has been assisting and elevating women through personal transformation, including: midlife changes, physical and self identity issues, mother-hood or self-hood, psycho-emotional deregulation and conception. You can contact her at- www.greatcosmicheart.com. Special Guest Episode - Lori Larson- Oral historian, yoga teacher, healer and emerging intuitive / Lori Larson is a wife and mother of two, with Max on earth and Eva in the stars. It took almost three years of trying to conceive before Lori connected with her second child in spirit. Through Eva's conception, pregnancy and 22 days of life on earth in 2017, Lori was transformed by the messages her daughter sent. Lori is passionate about sharing her life-changing journey with Eva, and lessons gleaned from child loss. And as she reaches the one year mark of her daughter's birth, she feels ready to open up about this sacred experience between mother and child in spirit. Lori lives in the Pacific Northwest, where the nurturing mossy forests helps her heal. As an historian, she has developed a passion for storytelling that carries into her life after loss. Learn how Lori honors Eva and finds peacefulness in the pain of special needs child loss at www.EvalastingPeace.com or on Instagram @lori.a.larson. Past lives with your future children is real. I am sure you and your children have shared all kinds of lives together. It is very heart opening to share in the energies always being built in new and learning ways as we all travel into life times of healing and transformation. Special Guest Episode- Aimee Raupp, MS, LAc, is a renowned women’s health & wellness expert and the author of the books Chill Out & Get Healthy, Yes, You Can Get Pregnant, and Body Belief. Aimee is a licensed acupuncturist and herbalist in private practice in New York. She is also the founder of the Aimee Raupp Beauty line of hand-crafted, organic skincare products. She engages her large community worldwide through her online programs and with her website, www.aimeeraupp.com. Special Guest Episode- Carrie Antoniou is an Intuitive Children’s Healer living in Brisbane, Australia. She is the author of Enlightenment on Toast – Bridging the Gap Between Spirituality & Parenthood and the creator of Daily Guidance Cards for Children. ​Do you question the gender of your baby in conception or early pregnancy? What if you are wrong in gender? What if you feel guilt or grief for having the gender you did not want? How does spirit baby guide you no matter what gender they embody? Knowing the gender by intuition is rewarding feeling and connection, but sometimes genders show up differently whether ready to be conceived or not. You are not less intuitive if you sense a baby girl and a baby boy shows up. Don't feel gender discouragement instead feel super aware to even explore spirit baby communication. Siân is a full spectrum holistic birth doula and circle facilitator committed to teaching and witnessing initiations in women of all ages. In a perpetual space of study as well as heart-opening, she brings knowledge of conscious conception and fertility awareness as well as pregnancy, childbirth and the art of postpartum and honors her role in holding the edges for the emergence of life Onto Earth. It can be beyond overwhelming to receive difficult news about your baby in early pregnancy. You may be questioning if baby in spirit can communicate issues before life. It can be deeply challenging to trust the process and stay connected. Pre and Peri Natal Psychology is a field that supports pre-conception and the development of the unborn baby. The APPPAH (Association of Pre and Perinatal Psychology and Health) It is an organization that further studies and researches the life of baby in preparation before conception and postpartum after life. It includes the deep connections of parent(s) and baby and childbirth, attachment, and bonding. The IVF journey is never a straight forward path. The embryo is a highly evolved organism waiting for a potential soul to merge with it. Baby is a spark of life that knows what parent or parents she or he will be joining. Conception this unique way requires opening, patience, awareness, and an ability to receive on many levels from physical reality into emotional and spiritual reality. Special Guest Episode: Claudia Manley MA, MI-IET, Kundalini Yoga Instructor, and an Ordained Minister. Claudia is a a psychic transformational coach for women. She works with a wide audience, her current focus over the last few years has been assisting and elevating women through personal transformation, including: midlife changes, physical and self identity issues, mother-hood or self-hood, psycho-emotional deregulation and conception. You can contact her at www.greatcosmicheart.com. I go deeper into what it takes to work within the next level of conception and how to reboot and renew where you are at within conception and fertility as a couple and or solo conception journey. The next generation of spirit baby makers is unique. Ask yourself what is your calling and how are you listening and developing that spiritual awareness and mastering the inner mystery of life along with inspired thoughts and support. Intuitive medicine is not new. It is an evolving alternative practice that most integrative medical doctors understand and apply to patients for wellness. The physical, emotional, and spiritual bodies need each other to create that wholeness towards health and wellness. Join me Kelly Meehan - Spirit Baby Medium in answering questions about Spirit Baby. I have asked my group for some deep questions that need answers! Facebook GROUP to join for more insights at (SPIRIT BABY: A Conscious Connection with Baby, Heart, & Soul) - Almost 1000 members strong! Special Guest Episode with: JENNIFER GRIFFIN, is the founder of the Spiritual Gift Institute and has over twenty years experience guiding children and adults on their relationship journeys. After ten years in the throes of hyperemesis gravidarum, she is slowly emerging and can’t stop writing about her experiences bringing her four magical children to Earth. She specializes in leading individuals to uncover the messages of chronic health conditions and their children's challenging behaviors. How can the body along with the spirit receive conceiving naturally and with reproductive support? How can one be open to the timing of conception? How can acupuncture support spirit baby communication? Secondary infertility can be deeply frustrating and overwhelming, especially when one has an unknown infertility diagnosis from many doctors. This is where we begin to question the biology over spirituality when it comes to conception. The physical body may be ready to conceive, but bigger things are set up that may not fit into the plan of a second child right away, later, or not at all. Welcome my guest Melanie, who will be sharing her personal experience as a mother, writer, and in pregnancy. Are you pregnant? Are you feeling your expansion? How can baby communication provide a solid and free flowing connection into birth? Learn how to bring wholeness to the full journey of your pregnancy with spiritual insights and the loving bond of pre-birth communication. Join this episode and share in the 1st, 2nd, and 3rd trimester energies that expand the body, emotions, and the spirit. Pregnancy, just like conception is a unique journey, and trusting it and how it unfolds is important work. I will talk about labor and preparation for a spiritual birth that aligns you. Ever wonder what the fathers role is in conception/pregnancy with spirit baby communication? What does it mean to surrender fully on the conception path? Special Guest Episode- Claudia Manley is a Healer, Teacher, & Psychic Counselor. Her contact is lotusheart.cm@gmail.com / www.greatcosmicheart.com. Join this episode for building a conscious concepton and recive psychic wisdoms around conception and pregnancy. Claudia will share her personal experiences in supporting others with LIVE readings. How do you cope and heal after losing your baby? What happens when your baby is born still? How can you prepare for new pregnancy after loss? I will be taking calls if you have a great story to share, questions, and if you are looking for support. Come chat with Spirit Baby Medium and Energy Therapist Kelly! I will be taking calls if you have a great story to share, questions, and if you are looking for support.Come chat with Spirit Baby Medium and Energy Therapist Kelly! This episode will explore the lovely energy of siblings. Many siblings have strong connections to spirit world and learn how to be open and listen to your child. Along with stories of inspiration and comfort. I will be taking calls if you have a story to share, questions, and if you are looking for support. Come chat with Spirit Baby Medium and Energy Therapist Kelly! This episode is all about night time dreaming and bridging connection and building upon a strong and trusted spiritual communication in the night space of body freedom and soul living. I will be taking calls if you have a story to share, questions, and or if you are looking for support. Come chat with Spirit Baby Medium and Energy Therapist Kelly! This episode will expand and explore the unknown energy of infertility and hopefully bring some healing light upon the spiritual journey into conception.